At the National Oceanic and Atmospheric Administration’s Earth System Research Laboratory researchers keep an informed eye on the condition of the earth’s oceans and skies with a Cassandra-like goal of warning when oceans and coastlines are threatened, when weather turns deadly or when global ecosystems get out of balance. The Boulder lab concentrates on the complex dynamics that determine how the earth’s systems interact, from why it’s raining here and not there to how the ozone layer affects global air quality. President Richard Nixon created NOAA in 1970, knitting together some of the oldest federal agencies: the Coast and Geodetic Survey (1807), the Weather Bureau (1870) and the Bureau of Fisheries (1871). 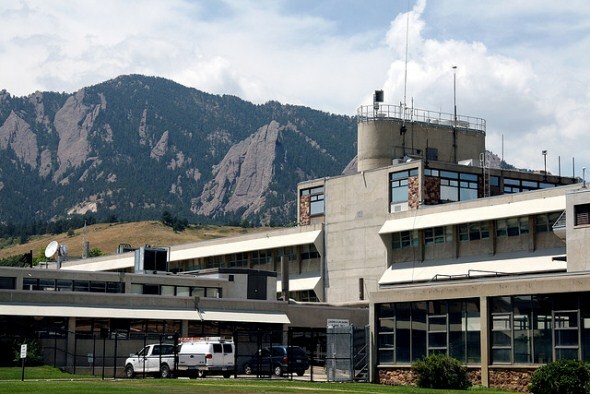 Reservations are required for free public tours of the NOAA facility. Call (303) 497-4091 and remember to bring a photo ID.